Summer is well and truly here in the UK. Wimbledon is entering the second week; the world cup has entered the final stages and it’s almost time for the British Grand Prix. We had our school Fête this weekend and although it rained pretty much the whole time, there was something rather wonderful, watching people walking round under their umbrella’s, sipping a glass of Pimm’s and eating a punnet of strawberries and cream while their kids ran around having fun (you don’t get more ‘English’ than that!). 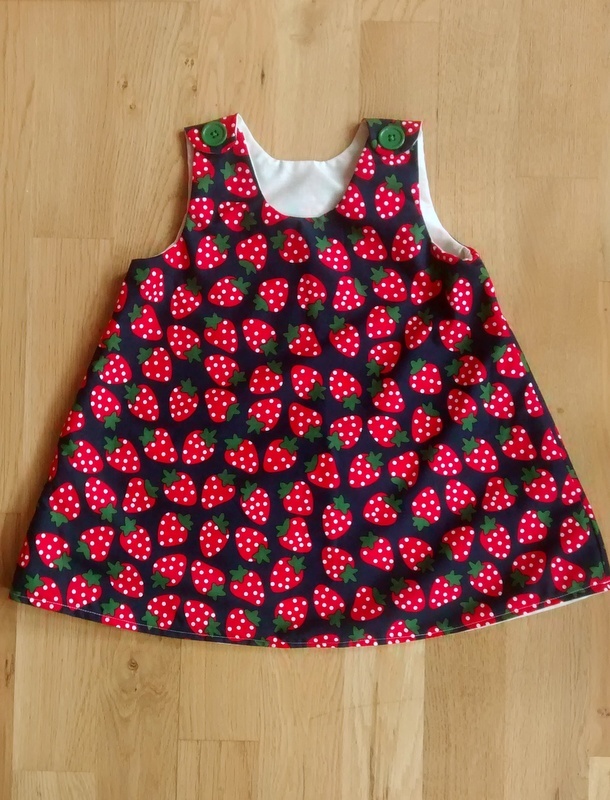 For me Summer doesn’t just mean the chance of long lazy days, sitting on a picnic blanket, soaking up the glorious weather (or just as likely, huddled under an umbrella waiting for the rain ‘to pass’); it means more sewing. 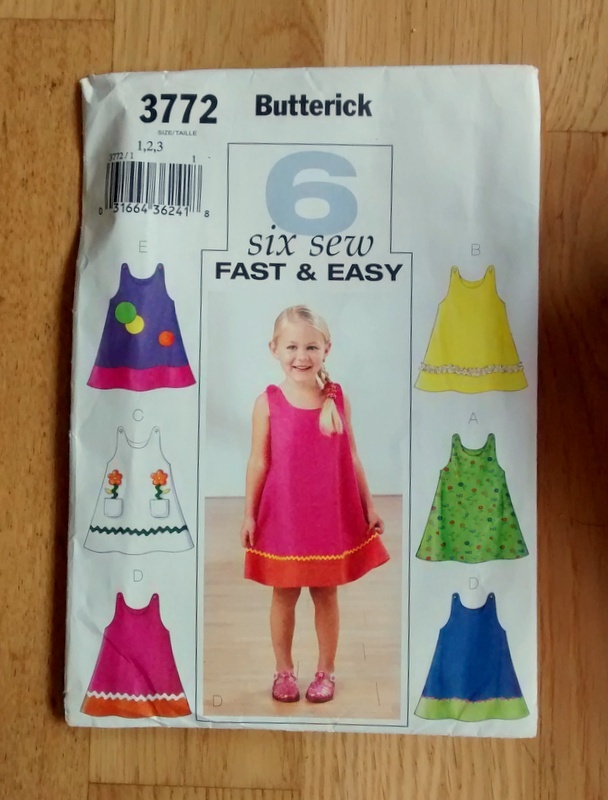 I guess as someone who does a number of different crafts, it only makes sense that when the weather gets warmer I put down my hook and knitting needles and dust off my sewing machine. When it’s really hot the last thing I feel like, is being surrounded by balls of wool! This summer I’ve set myself the challenge of making some clothes. I haven’t made that many before as, to be honest, they scare me! 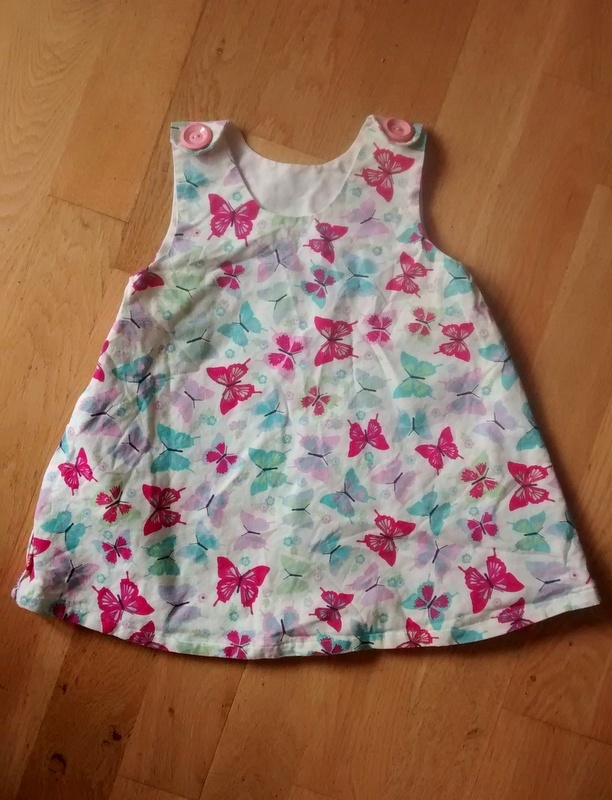 I’ve plucked up the courage however and started with a few dresses for little miss. 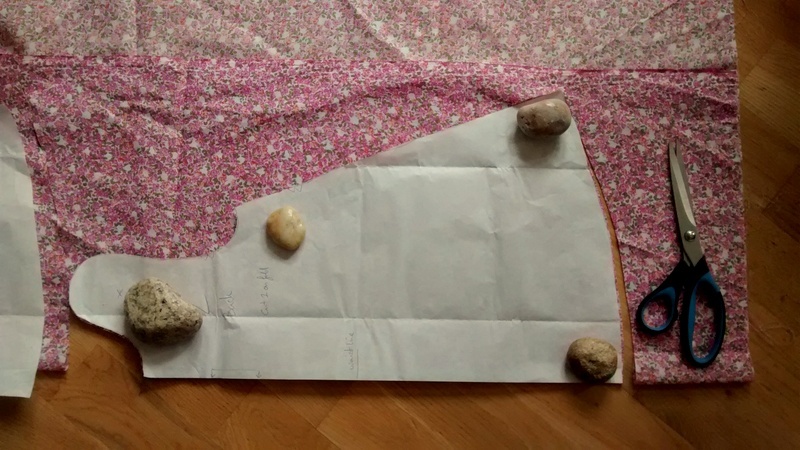 I found this pattern (it’s super easy if you fancy trying it….hence why I chose it). 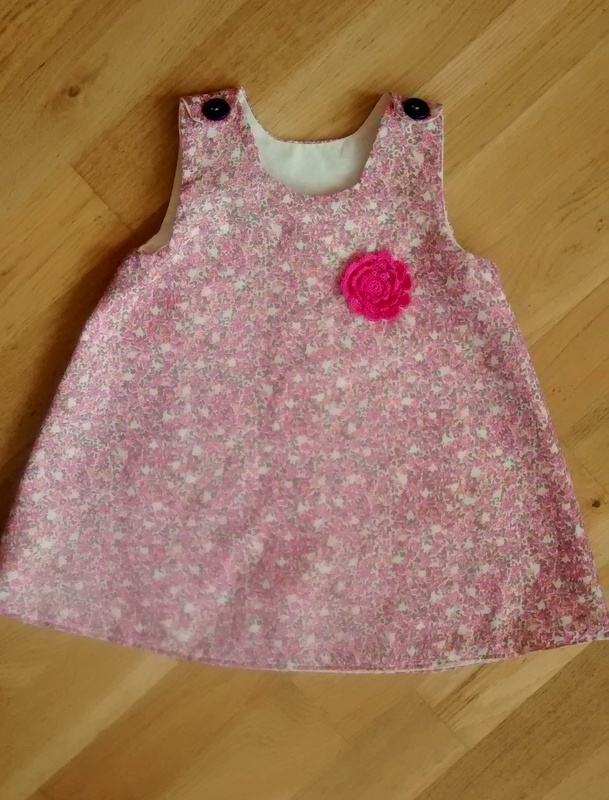 As you can see, I decided to start with a couple of little dresses for little miss (mostly because they need very little alteration and tailoring, unlike clothes for me!). Here’s the final dress. All I did was cut two dresses, one out of the main fabric, one out of the lining, then I sewed them together and added the finishing touches. It was really simple and actually quite fun, so I made a couple of more. If you fancy having a go, I’d recommend a bold print like the butterflies or the strawberries as they look great on. A new Adventure in Crafts…….learning to felt! Long lazy days and a new hobby.